So what is property tax? Answer this: do you own any land, an automobile, machinery, or equipment? Most of us own at least one of these, and all of them are taxed by our local municipalities every year. If you drive past some road construction, that is an example of your taxes at work. When you go to the county courthouse, all those employees are paid salaries and benefits from your tax dollars. A lot of people complain about taxes, but imagine if our roads were never repaired or there were no records department in your county courthouse! That would prove to be disastrous in less than one day. You are charged, by your county, a tax on everything you own. This may sound harsh, but our entire country is set up this way to maintain our American way of life. The large items we purchase like land, cars, businesses, and others, go through our local county governments and are recorded and attached to our names. This is a way to keep track of all those possessions for taxing purposes and other documentation needs. Those tax dollars go toward your local governmental systems. The county and state in which you live determine the tax rates that you will have to pay. The rate is based on the value of the item being taxed and each category can have differing rates within it. These tax dollars are also used towards water and sewer authorities, road maintenance, all of the county employee salaries, and school districts to mention a few. Most of the money remains in the community in which you live. So the answer to the question of what is property tax is this, the funds that keep our local government running. What Is Property Tax and Who Has to Pay It? Everyone who owns property has to pay property taxes. There are, however, some exemptions available if you meet the criteria. The homestead exemption allows some people to pay taxes on only a portion of their home’s value. Different states and counties have different rules when applying this exemption. Some states offer tax exemptions to the disabled and those over the age of 65. Again, this is state specific, usually visiting your local county web page will detail any exemptions offered. Veterans of the military may qualify for tax exemptions, depending on where they live. Some other exemptions to mention involve renovations to your home or property and installing energy efficient systems. 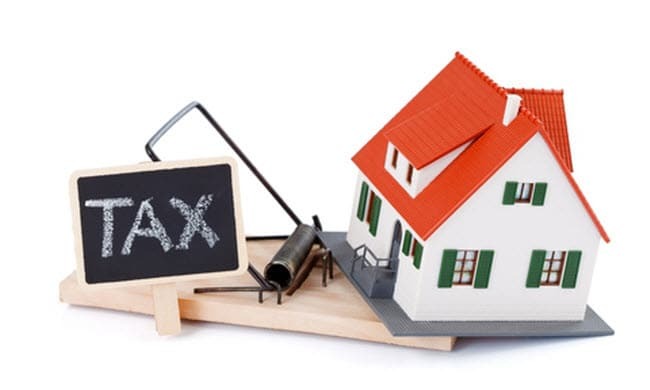 What Is Property Tax Used for? So what is property tax used for? Usually, over 50 percent of these tax dollars go to the public education system, making your taxes the largest source of income for public education. The next big percentage goes towards the upkeep and maintenance of our state parks and roads. Local government buildings and those who work in them are all paid for by your property taxes as mentioned above. Another area that utilizes our tax dollars are the local police, public safety, and our libraries. This not only includes salaries but also building and automobiles. Property tax bills are mailed to you once a year. Unless you have your house and or land property tax attached to your mortgage payment, called escrow. 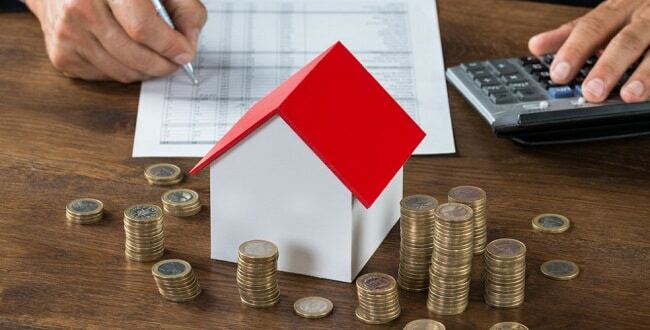 This being a popular choice for most because you are not hit at the end of every year with an astronomical tax bill, instead, it is added to your monthly housing payment, making it easier to manage. If you do not have a mortgage or participate in escrow, then you will receive a bill once a year from your county courthouse listing what you owe in taxes based on what you own. This includes automobiles, land, any improvements on your land, and of course the property, unless in escrow. How Does the County Know What I Own? Your tax dollars pay a person to keep track of what you have. The County Assessor is the title of this position. They are responsible for all taxable property within their county. Sometimes they mail you a form to fill out. Sometimes they make surprise visits to look around your property, regardless of if your home or not. Sometimes they do both. As you can imagine, there are some people who try to fool the local government and be dishonest about what they own or the improvements they have made to their property. Also, to obtain certain legal papers you require for other governmental entities, you must show proof that you are up to date on your property taxes. Do We, the People, Have Any Say in This? You have some say in your property tax rates. By going to the voting polls you are exercising your right as an American citizen and helping shape your county government. Be aware of each candidate’s platform on every issue. Don’t forget those levies. These are extra taxes requested by county entities to subsidize their efforts in full or partially. In summation, property taxes are usually a highly debated topic. You may not always agree with everything your tax dollars go towards funding. A helpful tip to consider when it comes to property taxes is this: know before you buy. Research an area thoroughly prior to a 30-year commitment. Is it really worth hundreds of extra tax dollars paid by you just to live on that particular street as opposed to the one two lanes over? Do you think you will have children and if so, will they attend public school? If not, then why live in a highly taxed county due to their schools. If the answer was yes, then choose a school district wisely to make sure your taxes are being spent for the only reason you chose it. With just a little time and effort, we can make wiser choices concerning our own financial futures and that of the area we choose to live in.